The United Arab Emirates, which was only founded as a federal state in 1971, has become an essential art destination in the past decade. N oteworthy non-profit and commercial initiatives and institutions have sprung up across the region. Pivotal events and exhibitions have put the UAE on the art map: the Sharjah Biennial has, since its launch in 1993, provided a platform for contemporary artists in the Middle East. Crucially, the launch of the Art Dubai fair in 2007 brought heavyweight commercial galleries to the Gulf, drawing key collectors and curators to the emirate. The game-changer has been the Louvre Abu Dhabi which opened its doors last November. In an impassioned address at the inauguration, the Louvre president-director, Jean-Luc Martinez, said that “the Louvre Abu Dhabi has finally been born. This project is first and foremost an Emirati initiative; they have decided that the 21st century will be for knowledge and culture”. The Zayed National Museum and Guggenheim Abu Dhabi are also in the pipeline. The Iranian collector Ramin Salsali founded the first private museum in the region for contemporary Middle Eastern art in 2011. Salsali showcases works from his 900-strong collection by artists such as Pantea Rahmani and Imran Qureshi at his Alserkal Avenue-based institution. 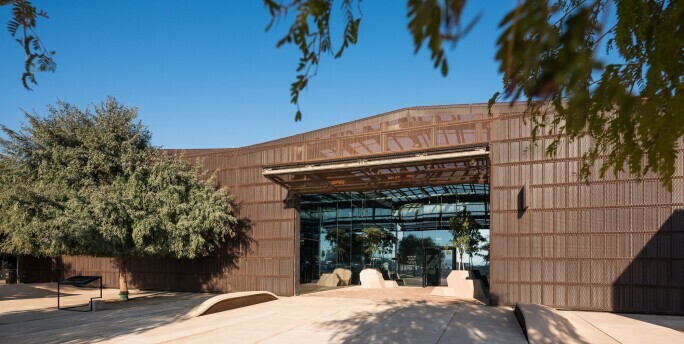 This multipurpose space at the heart of Alserkal Avenue, a major art hub in Dubai, hosts large-scale exhibitions, symposia and film screenings. 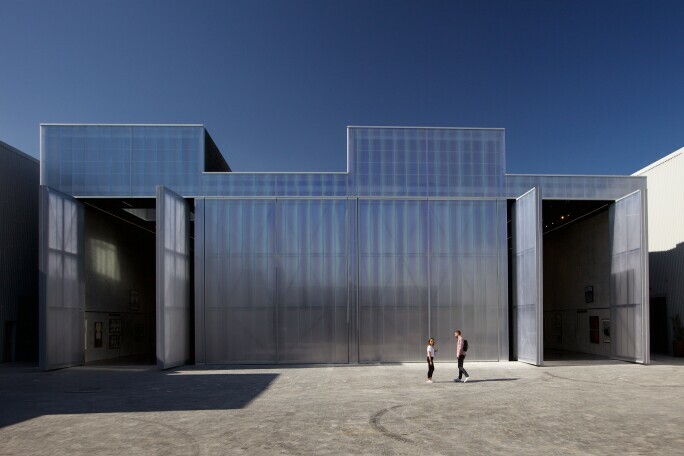 Founded by the Dutch architect Rem Koolhaas, Concrete has movable walls and a translucent façade. The towering venue launched last year with a show of works by contemporary Syrian artists. 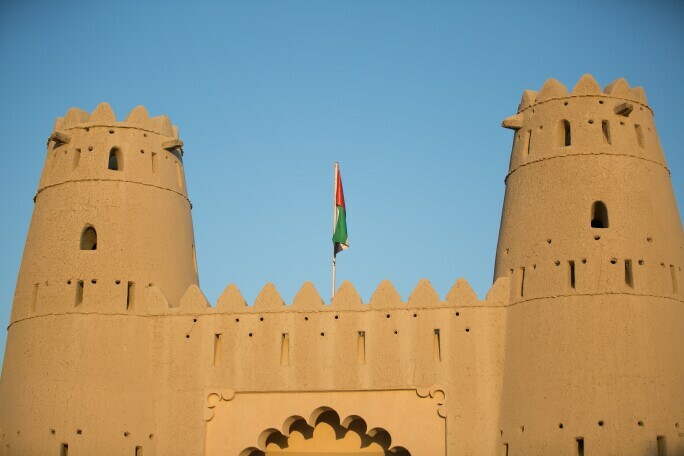 This celebrated mud-brick landmark, built in 1891 for Sheikh Zayed bin Khalifa (Zayed the First), was initially a summer residence for the royal family and defence post designed to protect the city’s palm groves. A permanent exhibition of black and white photographs by the late British explorer Wilfred Thesiger hangs in the north wing. The UAE gets its first mega museum with the Louvre Abu Dhabi, described as the Arab world’s first universal museum. The displays feature more than 600 works spread across 23 permanent galleries located under architect Jean Nouvel’s spectacular geometric dome. Leonardo da Vinci’s masterpiece Salvator Mundi (around 1500) is due to go on display shortly. This non-collecting university gallery punches above its weight with exhibitions focusing on Arab and Islamic art, an outdoor sculpture garden and special curatorial projects. Last year’s headline exhibition – But We Cannot See Them: Tracing a UAE Art Community 1988–2008 – explored a pivotal local community of artists led by the late conceptualist Hassan Sharif. 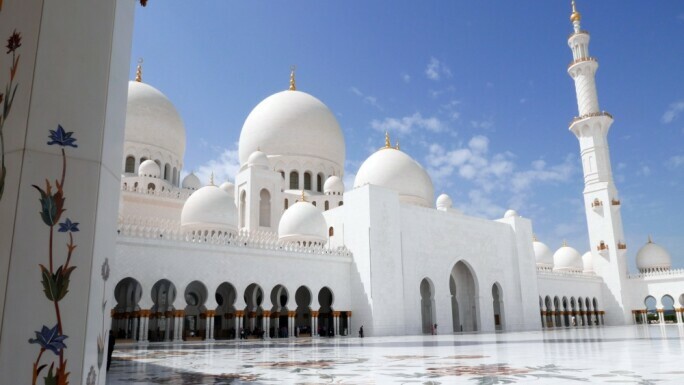 The largest mosque in the United Arab Emirates, encompassing 82 domes and the world’s largest hand-knotted carpet, took more than ten years to build and can accommodate up to 40,000 people. The 17,400 square-metre Sahan (outdoor prayer area) is inlaid with multi-coloured marble decorated with floral designs. This exhibition space in the port area of Mina Zayed hosts shows dedicated to emerging and established regional artists. The UAE’s recent presentations at the Venice art and architecture biennales are on display at the space (7 March - 24 June). The foundation, a powerhouse modern and contemporary art organisation in the Gulf, is based in the historical area of the city of Sharjah. Its president, Sheikha Hoor Al-Qasimi, organises an ambitious range of shows across the foundation’s venues such as the trailblazing Sharjah Biennial. This heritage zone incorporates a cluster of small-scale museums including the Sharjah Calligraphy Museum and the Sharjah Heritage Museum, along with celebrated culture sites such as the Al Hisn Fort and the bustling Souk Al Asrah. The Bait Al Naboodah residence, another area highlight, was once owned by a prominent pearl trader. This non-profit arts hub in Sharjah boasts a video archive, an art library and a public programme of exhibitions, workshops and events focusing on Middle Eastern and international artists. An adjoining art park located at Al Majaz waterfront showcases projects by local and international artists. 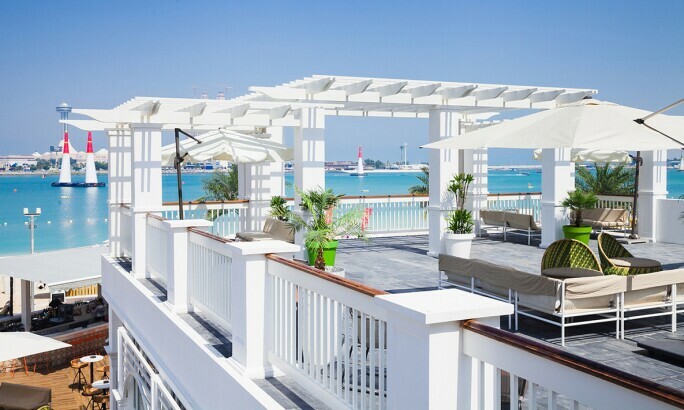 This lounge, restaurant and beach deck overlooking the Arabian Gulf is known for its innovative menu that marries Asian and Latin flavours and techniques. Its celebrated Patong Palmer cocktail is a mixture of reposado tequila and Thai tea. 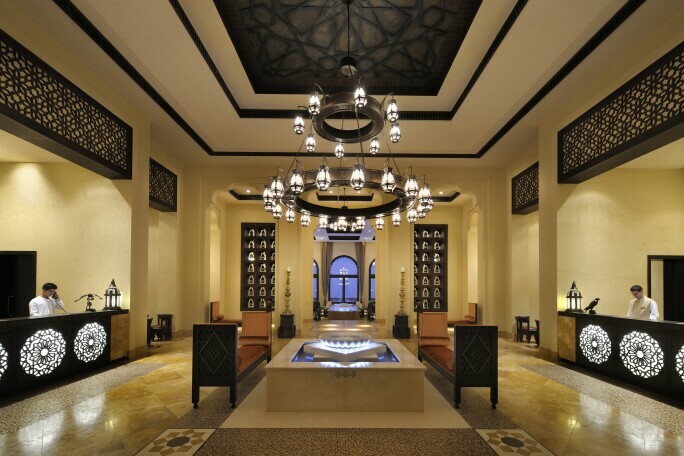 This lavish 200-seat venue is located on the turtle lagoon at the Jumeirah Al Naseem hotel. It is decorated in peach and pink tones inspired by the flora and fauna of Africa. Dishes available include classic beef carpaccio and seared foie gras. The head chef, Hakim Ait Ben Adi, promises to deliver “the genuine taste of Morocco” at this restaurant overlooking the Sharjah Fountain. Signature dishes include Mhammer, a braised lamb shoulder topped with eggs and almonds. The management team behind Treehouse describe this rooftop lounge as “an urban hideaway with a rich Renaissance décor, lush furnishings and ornate trees”. 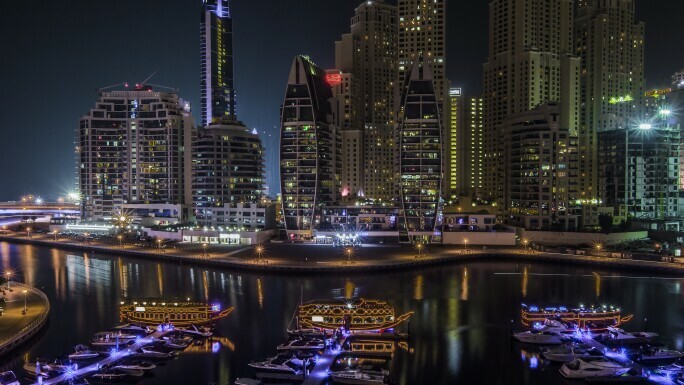 Located close to the Burj Khalifa, its live R&B and soul nights are a draw. Ray’s Bar is probably the highest drinking spot in the capital, located on Level 62 of Jumeirah at Etihad Towers. DJ Stew Magoo is a regular at the luxurious venue, which is known for its jelly martinis. 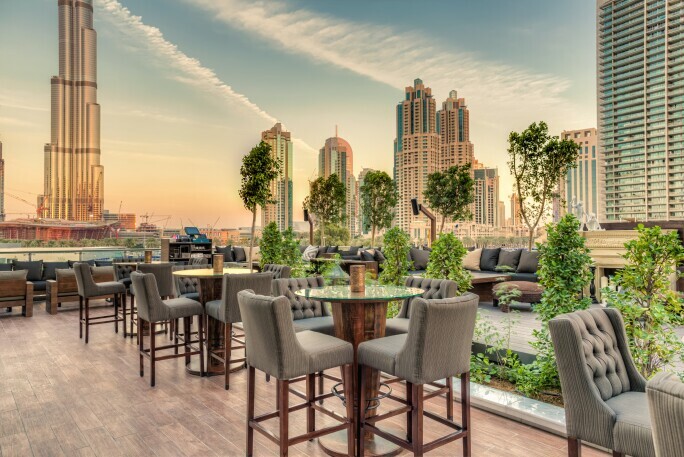 This rooftop cocktail bar in Dubai’s business district is proving popular with the city’s international millennials. Tequila, whisky and rum beverages are served alongside a selection of cigars. Escape into the desert at this high-end luxury resort which sprawls over 19,000 acres on the edge of the Empty Quarter. The complex encompasses an archery range, a series of palm-lined swimming pools and several restaurants. The hotel, just a five-minute walk from the Corniche Promenade, is ideally placed for exploring Sharjah’s heritage sites and cultural destinations. Hot-stone massages and body scrubs are among the treats on offer in the spa. This boutique hotel, located in the historic Al Fahidi neighbourhood, also doubles up as a contemporary art gallery with works on show by artists such as Halim Al Karim. A handful of individual rooms are dotted around three shady courtyards. Dubai’s RTA metro network is divided into seven zones; fares depend on the number of zones crossed. Passengers pay with contactless smart cards called Nol (cash cannot be used). Every Dubai metro has a “Gold Class” carriage for first-class travellers. A new metro line is being built for Expo 2020 with seven new stations planned including the Expo 2020 Dubai Station. Nol cards can also be used on water buses that run across Dubai Creek. Dubai also has an extensive taxi system (minimum fare charge is 12AED during peak hours) and bus network which covers more than 125 routes. There are seven different local bus routes in Sharjah; contactless Sayer cards can be used on board. The contactless card needed for public transport in Abu Dhabi is called Hafilat; Abu Dhabi’s department of transport also offers a park and ride service for travellers with a pick-up service available at Zayed Sports City.